Can I use wine for a personal event? Absolutely! At Oak Room Wines we can personalise a single bottle if needed avoiding minimum order quantities that most of our competitors impose. What sort of events are popular? Giving wine as a gift is not new – but using Oak Room Wines we make it simple and unique. Our combination of label design services, quality wine and fantastic gift packaging options makes for a truly remarkable gift. How can I set up a wine fundraiser? Setting up a wine fundraiser with Oak Room wines is easy, fast and profitable! Simply call or submit an enquiry and we will take you through the process and can have you set up running your very own wine fundraiser in as little as 48 hours. Visa, MasterCard, AMEX and PayPal (online only) payment methods are available. Fundraisers usually run for 4 weeks and can be reactivated at any time in the future for additional events at no charge. Oak Room Wines is serious about wine. We carefully select only the best wines across our range and price points. When we select your wine with you, we will carefully profile the type of wine you are looking for and match that with our available wines. We can send samples if needed, these are charged for but usually deducted from the final invoice for larger orders. We don’t stock any wine that we haven’t personally tasted and tested ourselves – in fact around 80-90% of the wines that we try we reject! Call us fussy, but we only want our customers to get the best value for money from our selection of 70+ wines that we have available. 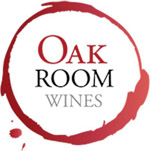 Oak Room Wines use a network of services to deliver your orders. From local couriers to nation wide transport companies, our priority is delivering your wine intact and ready for drinking as quickly and cost effectively as possible.